In August 2018, after years of battling illness, Sossie Garabedian passed away in Yerevan, leaving behind her three children — Sarin, Jirayr and Hagop. With no relatives in Armenia willing to assume the role of legal guardian, the children have remained under the care of the Children’s Center of the Fund for Armenian Relief (FAR) and Aleppo Compatriotic Charitable Organization (Aleppo-NGO). Beyond providing shelter, livelihood support and financial aid to the three children, FAR and Aleppo-NGO have been committed to ensuring a prosperous future for the children. Following discussions with the two youngest children regarding their educational needs, Aleppo-NGO, in collaboration with an American volunteer, has initiated a beginner level English language course for Sarin, 16, and Jirayr, 13. 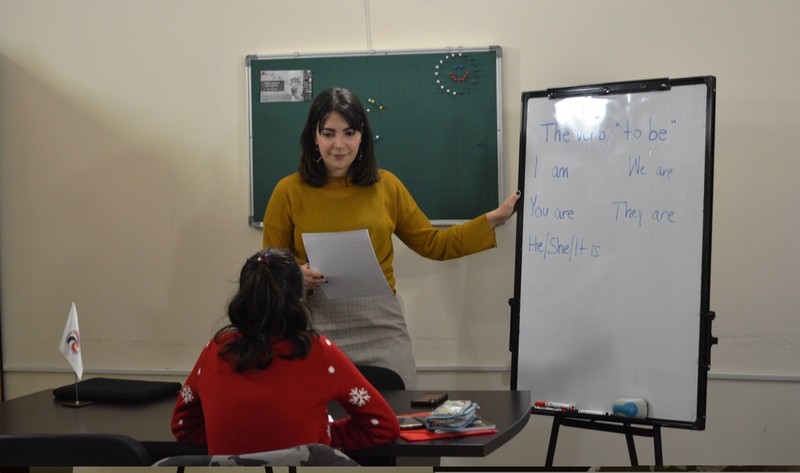 The private English classes take place at Aleppo-NGO’s center three times a week and are tailored to the needs of the two children, focusing on enhancing their basic English language skills in writing, reading, and speaking. The English language classes are organized and carried out by Martina Kardashian-Sieger, a volunteer from the United States. Last August, Martina graduated from American University’s School of International Service in Washington D.C., with a degree in International Relations and Russian Language. She has since relocated to Yerevan as a volunteer with Birthright Armenia. Martina is an avid language learner herself and is proficient in Armenian, Russian, and French. 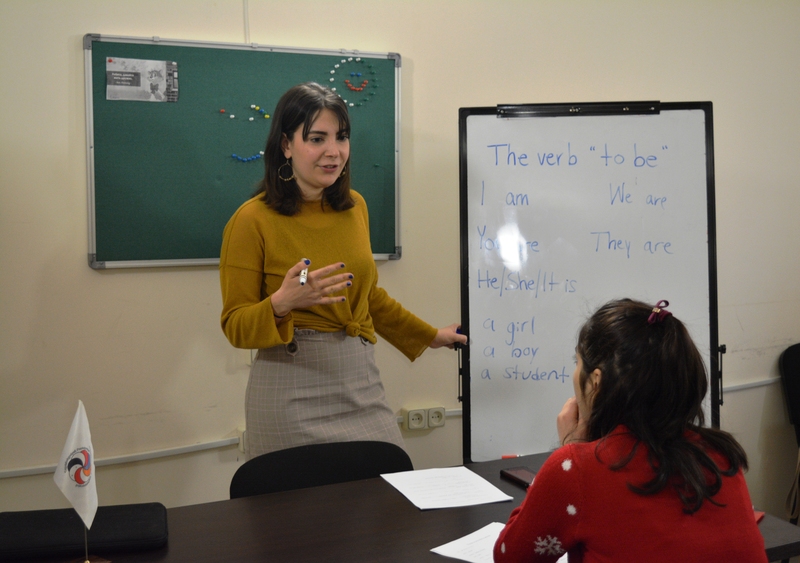 She has used her creative and innovative teaching methodology, writing skills as a journalist, and own language learning experiences to help the children advance their language skills and develop their confidence. Sossie and her three children had been resettled from Aleppo to Yerevan through Aleppo-NGO’s “Save a Life” project in September 2016 and had been beneficiaries of Aleppo-NGO’s “Adopt a Family” program between November 2017 until Sossie’s passing in August 2018.